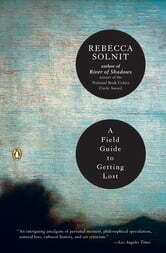 Written as a series of autobiographical essays, A Field Guide to Getting Lost draws on emblematic moments and relationships in Rebecca Solnit's life to explore issues of uncertainty, trust, loss, memory, desire, and place. 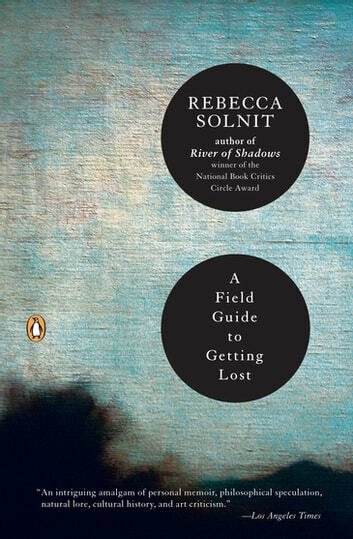 Solnit is interested in the stories we use to navigate our way through the world, and the places we traverse, from wilderness to cities, in finding ourselves, or losing ourselves. While deeply personal, her own stories link up to larger stories, from captivity narratives of early Americans to the use of the color blue in Renaissance painting, not to mention encounters with tortoises, monks, punk rockers, mountains, deserts, and the movie Vertigo. The result is a distinctive, stimulating voyage of discovery. I did not enjoy anything about this book. Finally gave it up after skippig through parts to the end which i couldn't get through either. Self indulgent.